Part 2 of New Zealand’s South Island road trip kicks off at Hope River in Canterbury, zig-zagging toward Christchuch before cutting back through the alps at Arthurs Pass to Hokitika on the West Coast. The route passes glaciers, threads between twin lakes before arriving at picture-perfect Wanaka, with a finale of the highest main road in New Zealand. On the way to Hanmer Springs the road tags the shallow icy blue Hope River as it rushes over pale grey rocks. Brooding bare mountains. Massive flat valley. Pencil poplars and Yellow gorse. 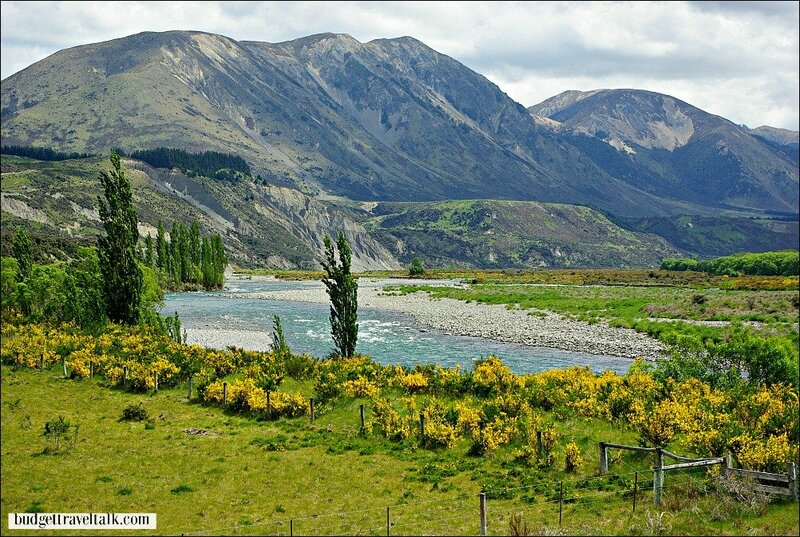 A dramatic setting so different to the rich green quaintness of the Motueka Valley, not that far to the north. South Island Magic at work here. 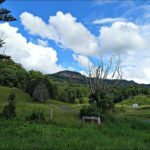 It is possible to head directly to the west coast from Maruia hot springs, but we continued south-east toward Christchurch before turning west to Oxford and an overnight stop at Ashley Gorge Holiday Park. 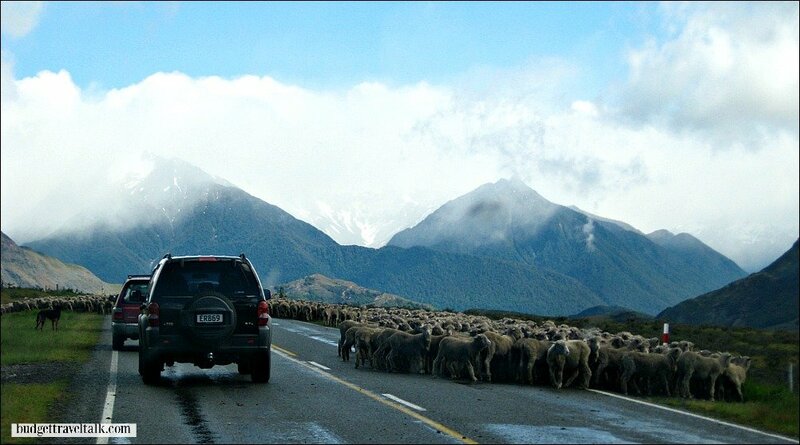 New Zealand has the highest density of sheep per unit area in the world, with ten animals per person in 2008. 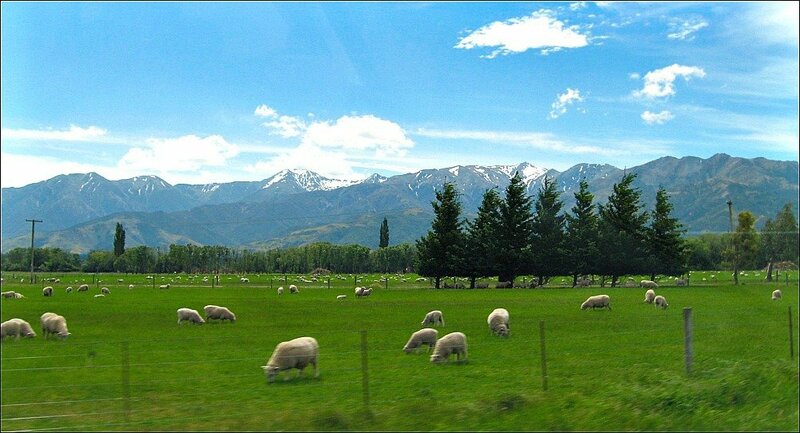 As we go snow white sheep dot brilliant green pastures in a typical New Zealand pastoral scene. On the way to Ashley Gorge. The Alps and Arthurs Pass. 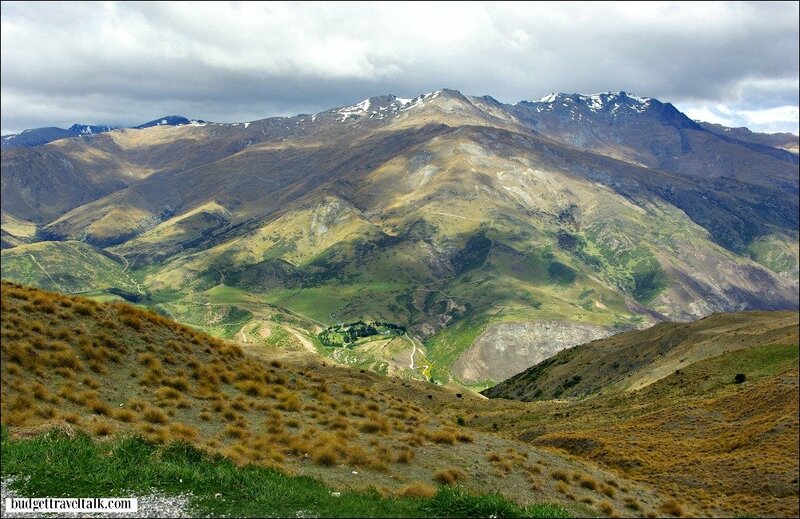 Arthurs Pass is the highest pass in the Southern Alps. White explorers discovered it in 1864 but Maori hunting parties used it as a route between the coasts long before that. Like most people we drove through the pass on an exciting road featuring viaducts, bridges, rock shelters and incredibly – waterfalls redirected via chutes above the road. Train enthusiasts take the TranzAlpine scenic train trip that roughly follows the same route through the Alps to Greymouth on the West Coast. It is possible to leave your vehicle either end and do a return train trip! Tip. If staying at Ashley Gorge the TranzAlpine can be joined at nearby Springfield. You won’t miss much of interest between Christchurch and Springfield and on the return trip you can pick your car up again at Springfield. Your welcome! The Alps iced with snow. Woolly weather and sheep, Arthurs Pass. Sitting in a Cafe at Arthurs Pass, waiting for the rain to stop (it didn’t) we watched a Kea, (a Kiwi alp and forest bird) try to rip the skylight off our van and pick the rubber out of the rear vision mirrors. Don’t underestimate this pretty vandal. 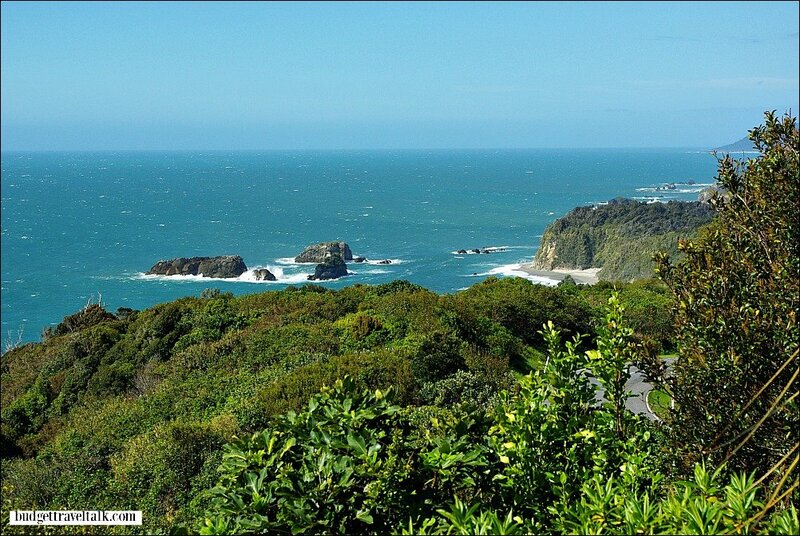 This small port town on the west coast is renowned for Pounamu also known as Greenstone or NZ Jade. The Maoris valued it’s beauty, strength and durability and the stone grew into a status symbol. The artisans at work in studios and galleries in Hokitika, will happily show their portfolio. Tip. If you are superstitious, get someone to buy your piece for you as it is believed to be unlucky to purchase Greenstone for yourself. In 1864 Hokitika was the centre of the West Coast Gold Rush, when up to 40 ships at a time lined the wharfs three or four deep, loading gold. It is difficult to imagine when looking at the quiet scene today. 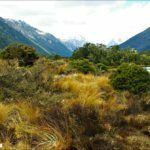 The South Island has seven glaciers with an area of 10 hectares (25 acres) or more, two of which, the Franz Joseph and the Fox are just south of Hokitika. We climbed the Fox from the bottom in 2008 but this activity ceased in 2014 as a result of glacial melt. It is still possible to fly to the top and experience a glacier walk. Franz Joseph ceased climbs from the bottom in 2012. Fox Glacier was able to be climbed from the bottom until 2014. I was quite exhausted after the Fox glacier climb and slept as we made our way south. Knights Point Lookout, Haast Highway, travelling south from Fox Glacier. 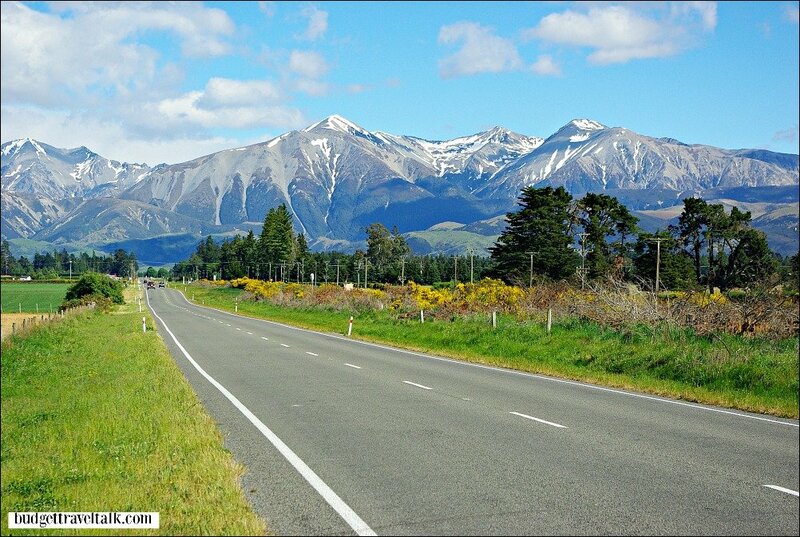 From Haast, the road cuts through Mt. 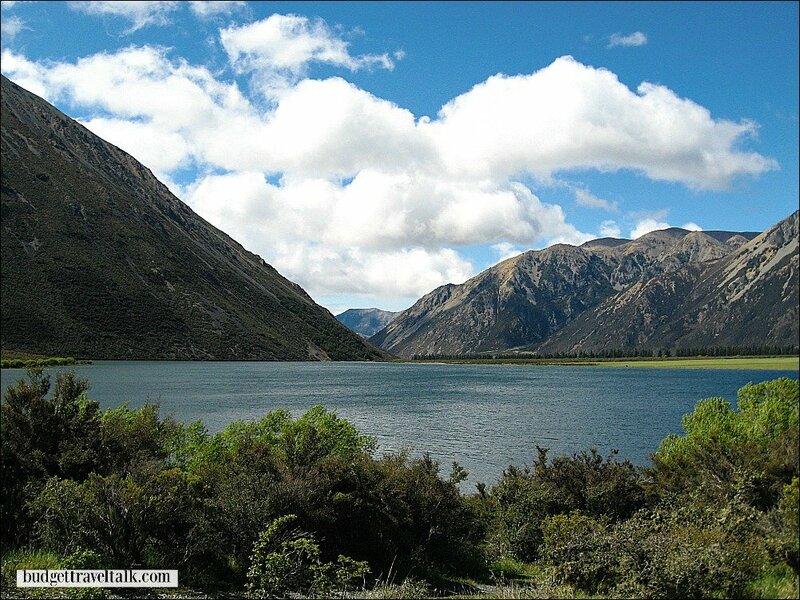 Aspiring National Park before running the gauntlet between the twin lakes of Hawea and Wanaka. The lakes lie in separate glacial valleys, left-overs from the last ice-age and at their closest points are only 1km apart. 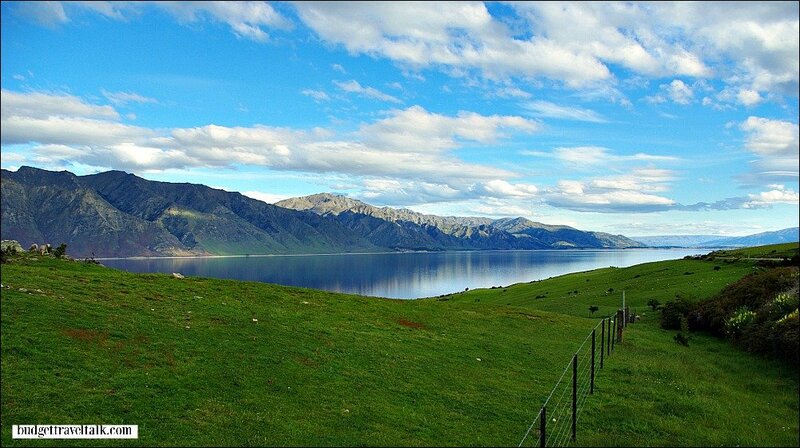 The dreamy landscape of Lake Hawea. Looking to Lake Wanaka from the township end of the lake. No reflections on a windy day, but with this backdrop who cares! From Wanaka take the winding high altitude Crown Range Road to Arrowtown and on to the adventure sports capital of Queenstown. Ominous clouds added to the suspense of the highest main road in New Zealand. 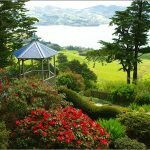 For a small country New Zealand delivers big time, with beautiful scenery and adventure. The road trip continues next week. Link up your travel post below. Wow! 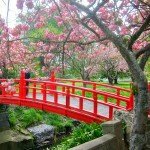 As I scrolled down your post your images just zapped me with their colorful scenes. 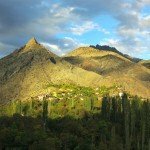 Stunning country and a great tour you took us on through it. How did you do the map of your trip on Google? I love that! Hi Jackie. I go to Google Maps and ask for directions starting at the first town and adding each successive town in order. Then on the left hand side of the page click on the lines to bring up the menu. Go to share or embed, then embed. Get the code and put it into post via text not visual. Save the draft. Then return to visual. 🙂 Glad you enjoyed the photos. It is very pretty and diverse. Somewhat like England as well as Canada. 🙂 Lovely to have you back in Australia after your big cruise! Absolutely stunning. What a great road trip. You’ve given good tips too, like the one about the TransAlpine scenic train — and leaving your car at one end. Really love the close-up of the Kea. Nice to hear from you again Josie. Glad you liked the tip. 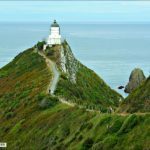 New Zealand is such a scenically abundant country and your photos could easily be used as postcards – they are that good. My only regret is that I have visited here four times and only took an interest in photography on my last visit. Looking at your wonderful photos brought it all back as we drove a similar route. I feel the same about some of my pre-blogging travel – I wish I’d taken more photos! I am amazed at the variety of landscape. There are glaciers, coasts, mountain passes and lakes. The drive seems to be design to delight all preferences. 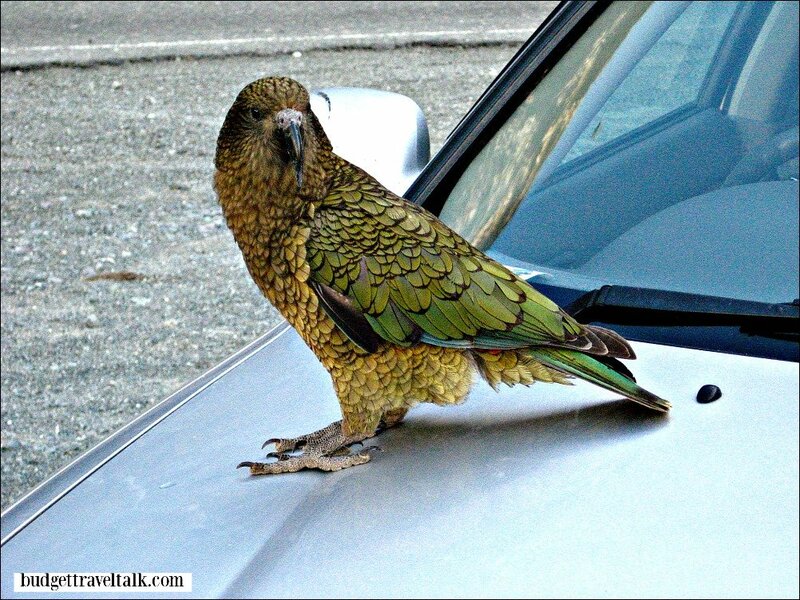 I like that you got to see a kea. Isn’t that an endangered bird? I think I read that about them somewhere. I didn’t know they were endangered Ruth! Such a descriptive post, Jan. Your words captured the mood and majesty of the scenery. It’s gorgeous and I really want to visit. Why thank you Mrs. Poinker! I’m happy you enjoyed your trip to the South island. There are many routes to take and areas to visit. 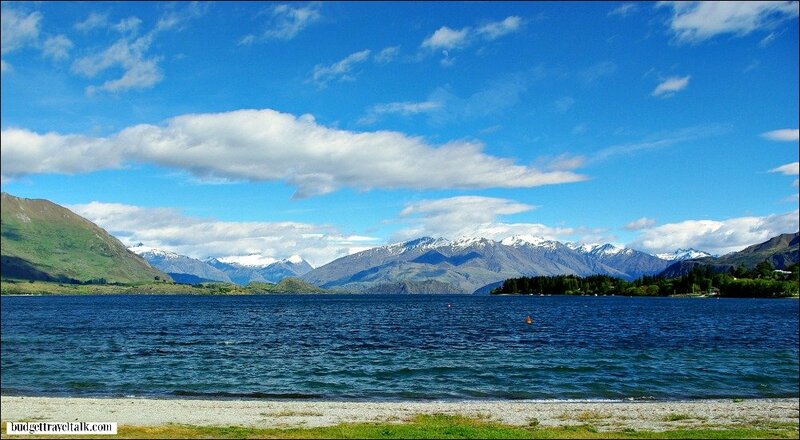 I have travelled down to Wanaka (ski season) and back up to the North island each year over a 5 year period. Each time I have taken a different route and spent an average of 2 weeks on each trip. I still haven’t seen it all! New Zealand is fantastic for road tripping! Your photos are stunning. Did you camp or stay in hotels? What a wonderful scenery! 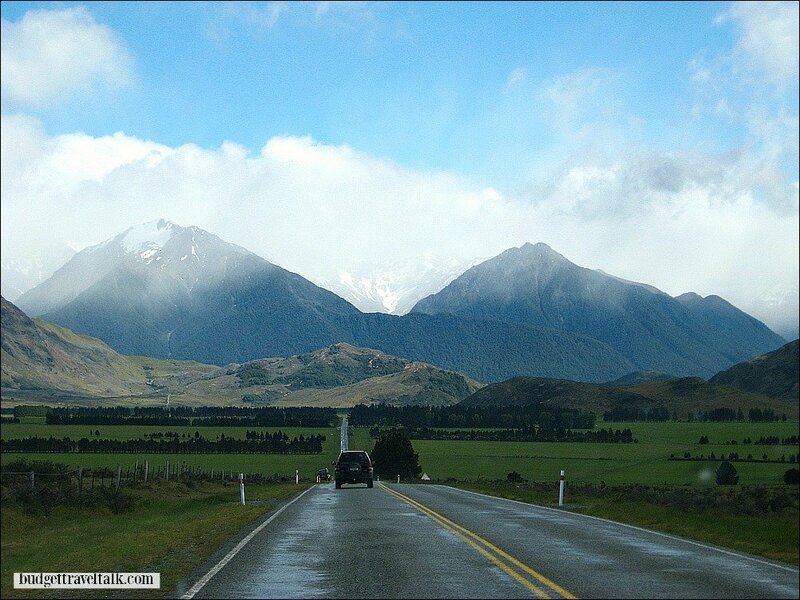 I’d love to travel from the south all the way to the north of New Zealand at a slow pace. And after seeing your photographs I’m sure about that plan! 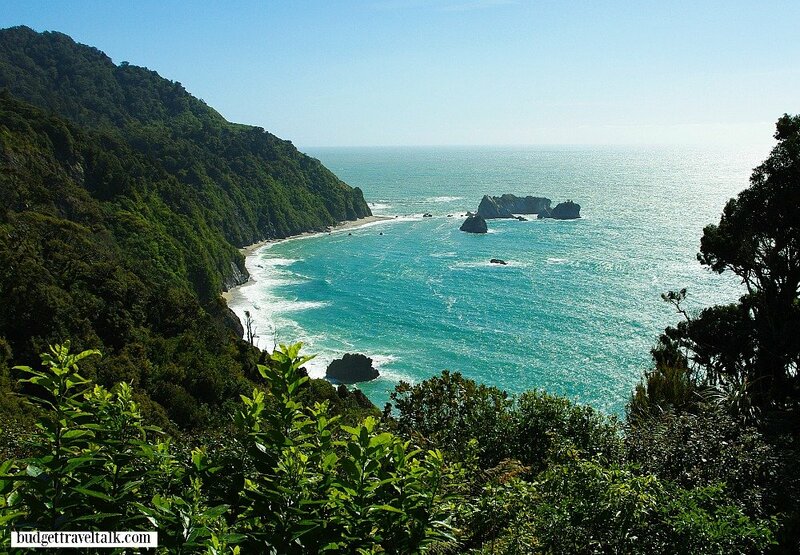 Oh it does make me a little home sick seeing all the beautiful photos of New Zealand. What a fabulous trip! Oh wow! You are truly reinforcing my wish to visit New Zealand some day. 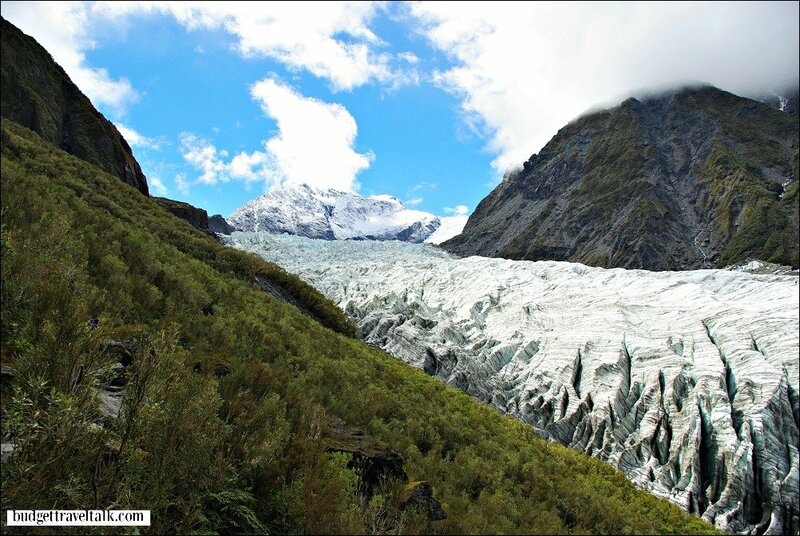 The difference between the lush greenery and the glacier is so striking. Too bad that glacial melt is happening so that people cannot climb it.